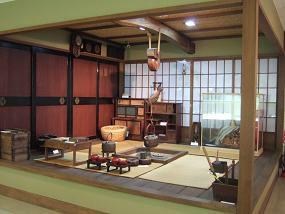 Japanese homes of old were divided into three spaces: the doma, the ima, and the zashiki. The doma was the space that adjoined the entrance area and was where agricultural labor took place, for example, working with straw. 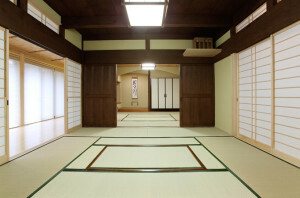 The zashiki was the area used to welcome guests when entertaining or on ceremonial occasions. It was not used on an everyday basis. Lastly was the ima, which was used for general living, cooking, and for gathering together as a family. After some time, floor boards came to be laid down in the ima and there was an irori (sunken hearth) in the middle of the space. The irori was the place for worshiping the god of fire, whose role it was to protect the home. 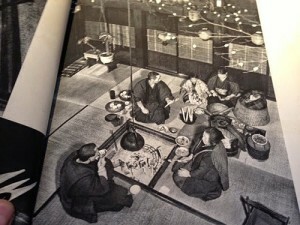 Later, the kamado (cooking hearth) appeared in homes. Until this time, when cooking equipment was moved away from the irori, the irori had been the most sacred place in the home. It had been forbidden to tread upon it or to throw any soiled materials in it. 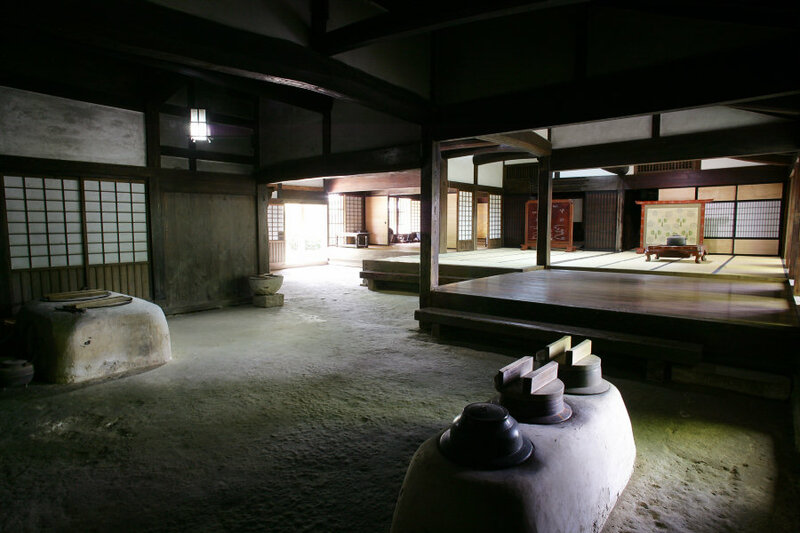 Even today, there are many regions where the kamado is treated as the guardian god of the home, however the irori was the original place that this god was worshiped. The belief that fire is something sacred still remains firmly rooted in the contemporary Japanese mind, as is demonstrated in the burning of New Year’s gate decorations on the 15th day after New Year.